A spinal stenosis scapegoat occurs when a patient demonstrates mild to moderate central canal or foraminal narrowing which is unfairly blamed for enacting pain, when all along, the actual source of symptoms is some other structural or nonstructural causation. Scapegoat conditions are the bread and butter of the back pain treatment industry, since without them, most doctors would be out of business. Research clearly points to the conclusion that the majority of all mild to moderate spinal abnormalities, including stenosis, herniated discs, spinal curvatures and arthritis are not the source of any severe or chronic pain and may not be symptomatic at all in most diagnosed patients. Scapegoat conditions have recently been brought into the spotlight, as more and more major medical organizations and associations have advised against diagnosing pain based on structural irregularities found on diagnostic imaging tests. These medical groups tell that there is little, if any, correlation between common spinal abnormalities and the incidence of pain. Furthermore, they tell that pain exists in just as many patients who have no structural reason to support the expression. The Cartesian model of pain has lost much credibility in the past few years. This vital discussion is crucial reading for anyone who has been diagnosed with mild to moderate stenosis anywhere in their vertebral column. A scapegoat condition is a structural irregularity which is blamed for causing symptoms when it is truly innocent or only mildly contributory. Dr. John E. Sarno writes in great detail about back pain scapegoat conditions and uses the analogy of gray hair or wrinkles being held responsible for the pains of old age. Of course, these anatomical changes exist, but they are innocent and non-problematic, just like most spinal abnormalities. In spinal stenosis patients, the narrowing of the central canal or foraminal spaces surely exists and can be proven via diagnostic testing, like MRI. However, the extent of the condition falls into the normal range of spinal degeneration and is not thought to be symptomatic when evaluated by an objective healthcare professional. Objectivity is the crucial word here. An objective doctor could view the imaging results, compare them to the symptoms and be quite sure that the condition was harmless and typical for an adult of a certain age and physical condition. However, doctors with a vested interest in the treatment of spinal stenosis may not come to such an enlightened conclusion. It is obvious that misdiagnosed spinal stenosis is only a tiny fraction of the larger problem of misdiagnosed back pain. Most of these patients are pronounced to suffer from some structural abnormality, even when symptoms do not correlate, as expected, or the anatomical changes are considered minor and completely normal. The answer is shockingly simple and disturbing, as well as the subject of much of our writing on The Cure Back Pain Network. The answer to the above question is money. 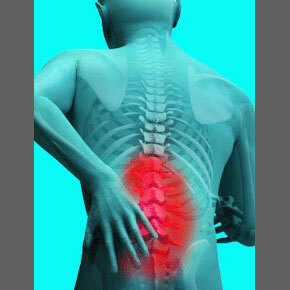 If a doctor tells you nothing is abnormal in your spine, but pain remains, you will go somewhere else. The new doctor will come up with some excuse and make lots of cash treating what is deemed to be wrong. Medicine is now a business and doctors must compete, just like everyone else. Now, we have no problem with a doctor who actually feels that a patient may have structural issues and goes through the diagnostic process. We also have no problem with doctors who prescribe appropriate treatment for patients who do appear to be structurally affected. What bothers us is the incredible number of physicians and chiropractors who purposefully use any structural irregularity, no matter how obviously innocent, to enroll a patient into long-term and highly profitable care, usually ending in failed spinal stenosis surgery, all for the sake of increasing the size of their bank account.